Pre-refund: After staying relatively flat for months, checking account balances plummeted in January, showing heightened spending in anticipation of receiving a refund. February 2018: Huge spikes were seen in both checking and savings accounts. 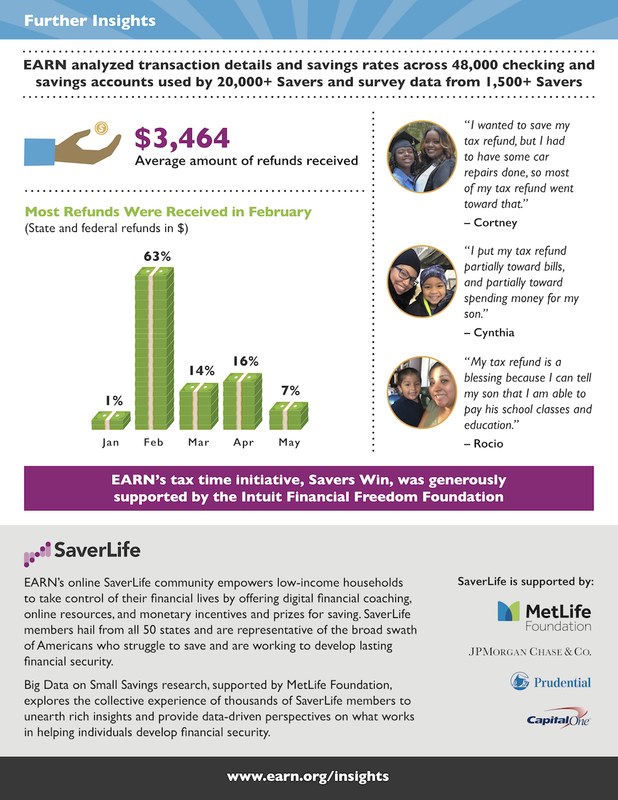 On average, Savers received nearly $3,500 in refunds (state and federal combined). Post-refund: In the three months after receiving refunds, checking account balances fell back to pre-tax-season levels. 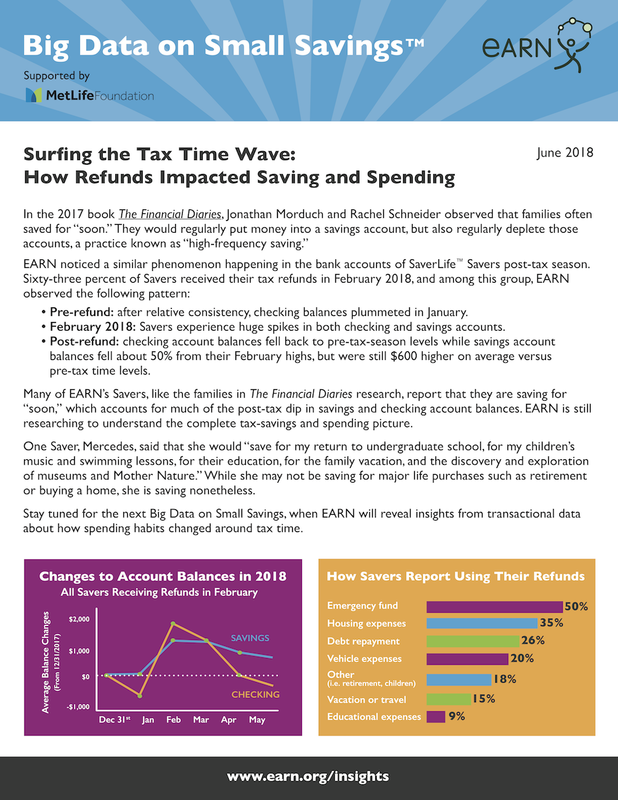 During that time, savings account balances fell about 50% from their February highs, but were still $600 higher on average versus pre-tax time levels. Many of EARN’s Savers, like the families in The Financial Diaries research, report that they are saving for “soon,” which accounts for much of the post-tax dip in savings and checking account balances. EARN is still researching to understand the complete tax-savings and spending picture. One Saver, Mercedez, said that she would “save for my return to undergraduate school, for my children’s music and swimming lessons, for their education, for the family vacation, and the discovery and exploration of museums and Mother Nature.” While she may not be saving for major life purchases such as retirement or buying a home, she is saving nonetheless. Stay tuned for the next Big Data on Small Savings, when EARN will reveal insights from transaction data about how spending habits changed around tax time.